Upcoming events and insights into our community. People get very touchy when you question their TV choices. Watching TV is so closely associated with rest after a difficult day for many Australians, so suggesting that there might be a bee in that particular lemonade can will either lead to resistance (e.g. “what I watch doesn’t affect me”), or will be politely ignored. 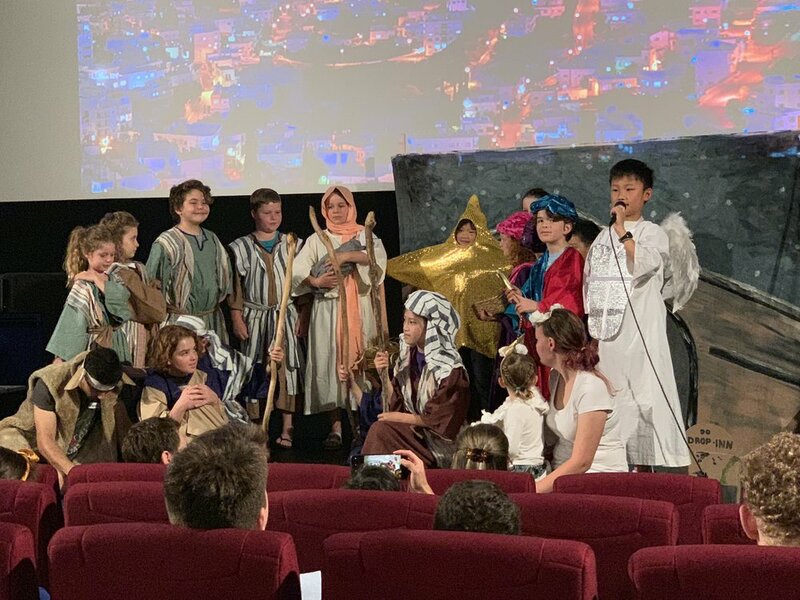 This Christmas the young people of Renew Anglican Church performed a pageant called Born is the king. 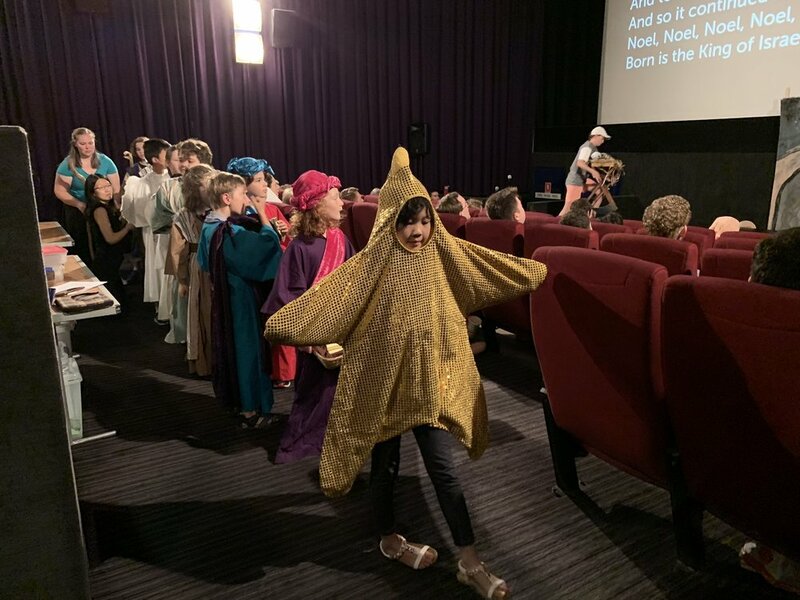 If you’re interested in performing the play at your church you can purchase the script, including information for costumes and staging here. Mary gets news she will give birth to the forever king! 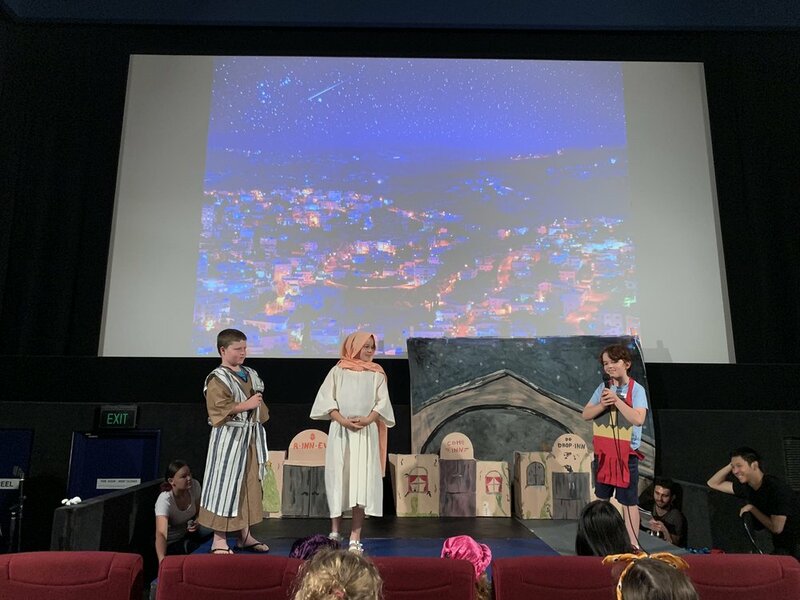 Mary has a chat with Joseph about their new ‘situation’. An accurate retelling of Mary & Joseph’s long hike to Bethlehem - possibly with out the pizza. Struggling to find a room with a view in Bethlehem after Joseph forgets to book ahead. 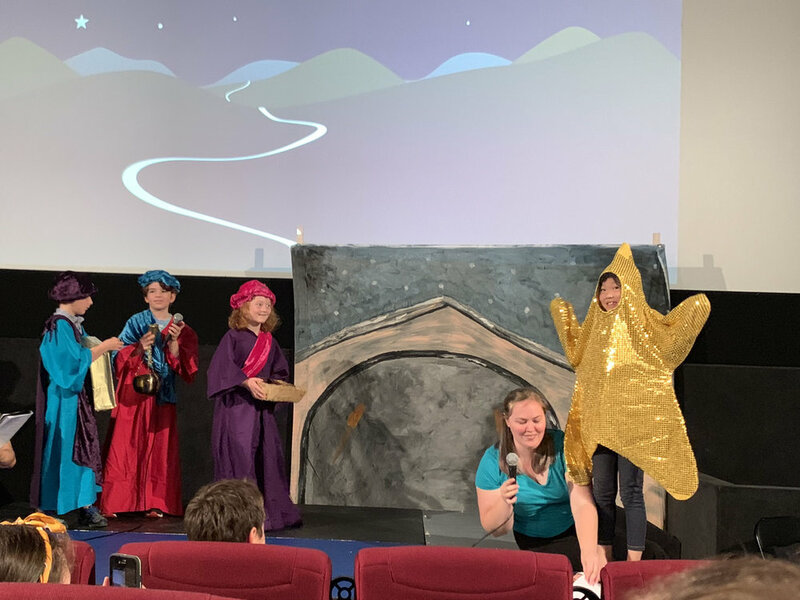 The three wise men see a star in the night sky and choose to follow it. A procession of wise men, shepherds and their sheep all follow the star to find the forever king. Hallelujah! Our forever King, Jesus the Christ, has come to earth today. 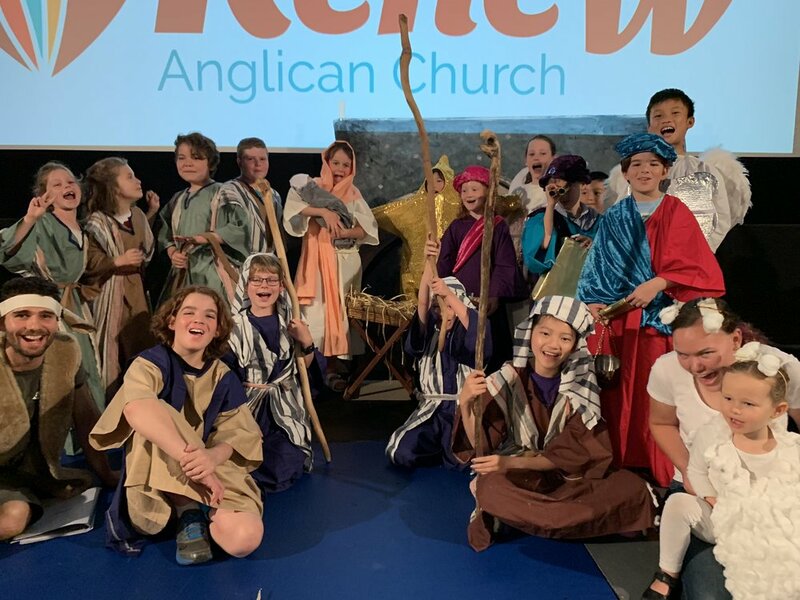 Well done to everyone involved in bringing Born is the King to life on the Renew stage! Friends, can we have a chat about Santa? This year Myer launched its Naughty or Nice bauble. If you’ve not heard of it have a look at the video below. It connects via Bluetooth to a parent’s phone and they can change the bauble’s colour (green or red) based on their children’s goodness or badness in the moment. It’s a behaviour modification tool. A way of dangling the possibility of no presents from Santa in order to get the Duplo picked up and the tantrums to cease. This is why I’m not a huge fan of Santa. Santa is the god we invent for ourselves. He’s just like, well, every other god invented in history. Allah, Zeus, Vishnu, Baal – they all see you when you’re sleeping and know when you’re awake. They all wait for us to glow green before they dispense any kindness to us. But when Jesus entered the womb of a woman, he turned that story completely upside down. His kindness is for those whose blinky baubles are only ever red. And he doesn’t just load us up with stuff and disappear. He comes as Emmanuel, God with us. He is the gift and the giver. Now this is, of course, no judgement on you if your family does/has done the Santa thing. But some might suggest that what I’m calling for is a de-fantasised Christmas. I disagree. God most high has become God our brother. Phenomenal cosmic powers in an eeny peeny living space. The long-hoped for Prince has come. He slayed our dragon to rescue us and redeem the land and through his sacrifice death had started working backwards. That sounds pretty fantastic to me. Have you been following the case of Lyn Dawson? The mum who went missing in the early 80s and, it’s alleged, because of police mishandling her disappearance wasn’t treated as suspicious and investigated or prosecuted. The case has received new attention thanks to the Teachers Pet podcast and a few days ago her husband was arrested for her murder. The story has been front page news every day this week and, I think, that’s because we’re wired to love stories of justice made aright. One of the beautiful gifts of the gospel is to know that ours is a God of justice. That there are no cold-cases – the Lord of all will judge the world and, on that day, every mixed motive will be untangled, every secret laid bare. Now I say beautiful, but it’s also terrifying, right? We want justice for the Lyn Dawson’s of this world, but the thought that the God who’s resources for scrutiny are limitless, who is able to know not just our actions but our thoughts would also cast his eye over our case can rattle us. The God with a strong arm scatters those who are inwardly proud even if they are outwardly kind. Who could stand against that kind of condemnation? As people who exist in God’s world, we’re primed for stories of hope when all hope is lost. I think this is why the story of the Thai soccer boys trapped in the Tham Luang caves has gripped the world’s attention. Putting the World Cup to one side (if only for a moment) the big story of the week has been the Trump administration's treatment of children at their Mexico border. Many have called it disgraceful that cruelty to children would be used as a deterrent for asylum seekers. My FB and twitter feed have lit up with anger about this policy and happiness (of varying kinds) at the reversal of the policy. I don’t know what you made of the Summit in Korea between Donald Trump and Kim Jong-Un but to me it felt ancient. My phone was bugging me with reports every half hour or so with reports of where the meeting was up to, the handshake, the photo, the opening remarks, the closed room, more photos, the joint statement, more discussion with Trump and Kim.